Kitchen cabinets are the most important thing in your kitchen. Many people find difficulties looking for the best kitchen cabinet idea that will match their kitchen’s design. Some people design their room in modern look, while the other might prefer farmhouse idea. Well, the cabinets in your kitchen have to match your concept if you want to have a perfect kitchen with the perfect design. 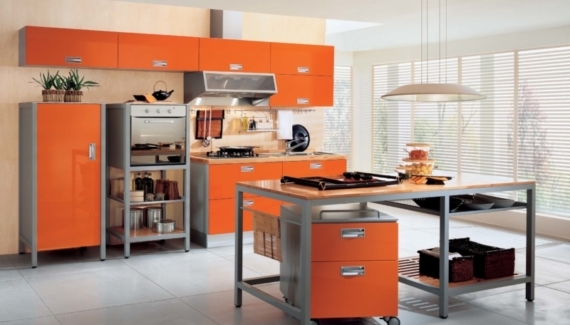 Having difficulties in finding the perfect kitchen cabinet color? Or do you want cabinets that will look great even if you want to change your kitchen design in the future? 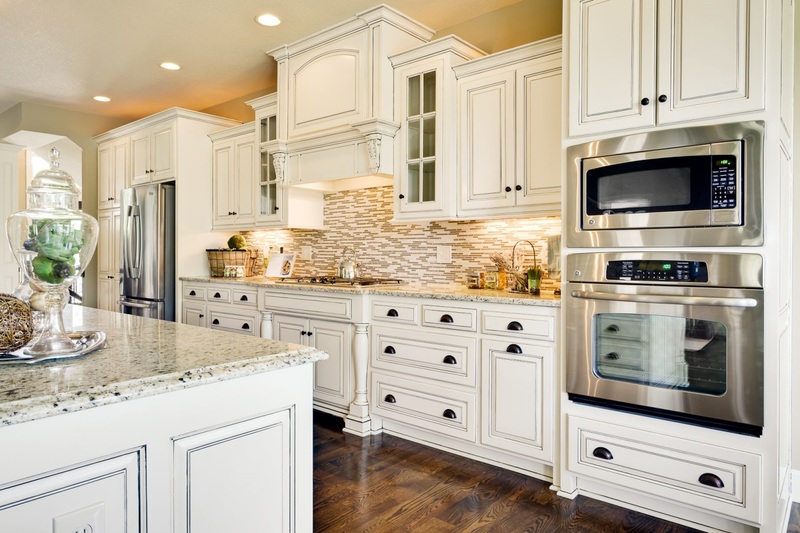 White kitchen cabinets can be a good choice for you. 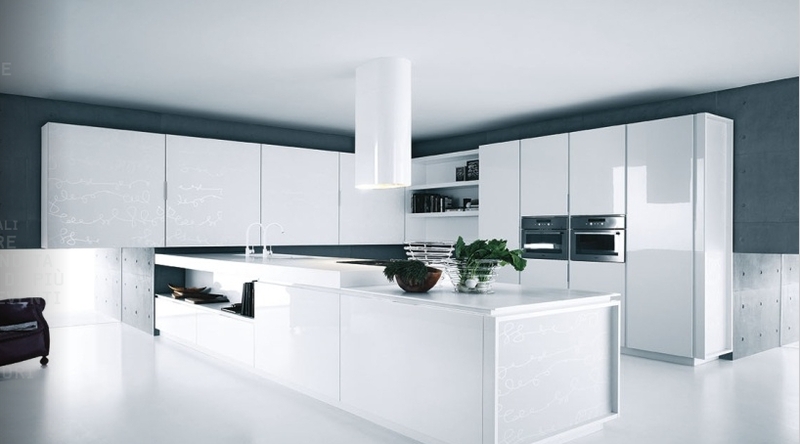 If you are looking for white kitchen cabinets idea, you can check our recommendation below. We have gathered 30 white kitchen cabinets idea you can follow. Curious already? Check this out. Having a small room for your kitchen cannot stop you from having a cool kitchen. Choosing bright color instead of darker color will make your kitchen looks roomier. That’s why white cabinet can be the perfect choice for you. Don’t forget to maximize the space of your wall by installing wall cabinet. A built-in cabinet that load your refrigerator can be a perfect idea too. So, are you ready to design your small kitchen with this idea? 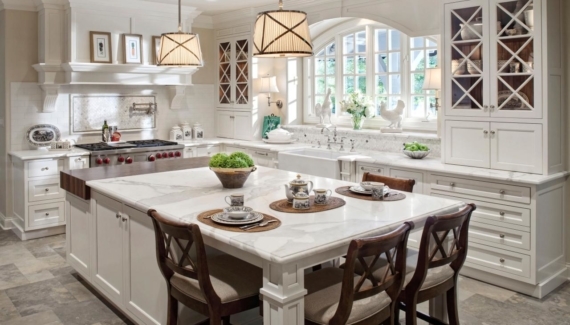 White kitchen cabinets with ornament can give your kitchen a classic and elegant look. Especially if you combine the cabinets with antique decoration and furniture, such as antique rustic table, ceiling with white ornament and classy ceiling lamp, and other decorations. This idea is perfect for people who prefer antique and classic look for their kitchen rather than modern look. Wanna try this idea? Don’t forget that the key is white cabinets with ornaments. Granite countertops on your kitchen cabinets can give your kitchen an elegant look. It is gonna be a perfect choice for people who like to spend much times in their kitchen too, since it is easy to clean and will always look great because the it won’t stain. This idea will look great for kitchen with wall decoration such as wallpaper and floor with patterned tiles or floor from reclaimed wood. Not only giving an elegant look, white kitchen cabinets with granite countertops can also give your room an antique look. Especially if you combine the cabinets with other decorations such as antique tiles, antique chandelier, and other furniture such as rustic storages. This idea also give you a chance to put more decoration to your kitchen compared to cabinets with other colors. So, what do you think about this idea? Should you try it? White always shines. 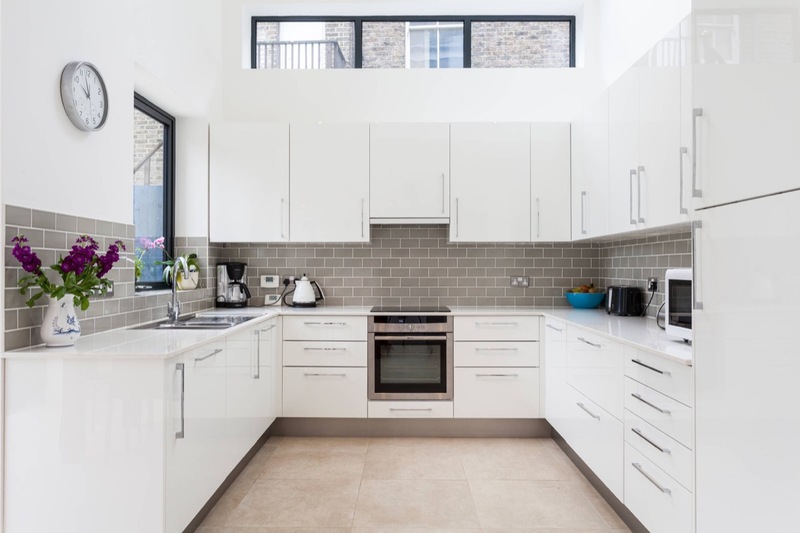 That is why white kitchen cabinets can be the perfect choice if your kitchen is not too spacy or does not get much natural light during the day. 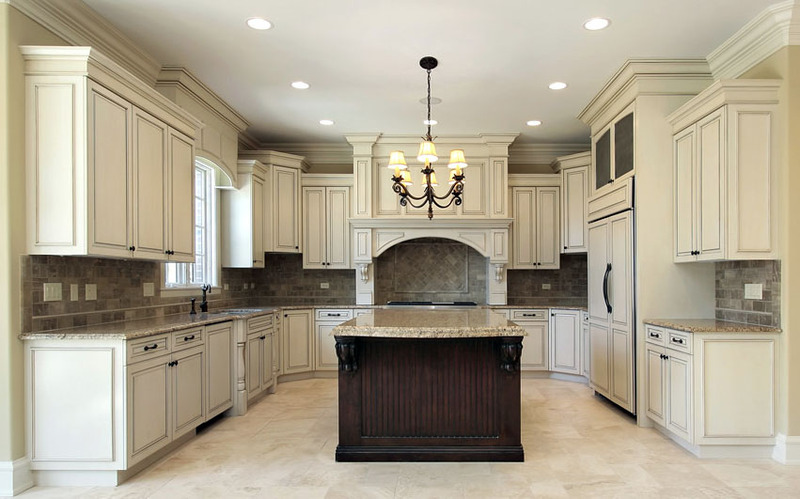 Choose white cabinets and combine the cabinets with white wall and white ceiling with a pair of elegant chandeliers. Worrying that your kitchen will look boring? Well, you can choose white cabinets with granite countertops, so the kitchen will not look boring. Do you have a kitchen with small space? Try this idea. Prefer a modern look rather than the antique look? You can try this black and white kitchen cabinets idea. You can paint the kitchen walls with black paint on one side and white on the other side. Then arrange your cabinets. To make it looks more modern, you can choose black tiles for your floor and let your ceiling untextured with white paint. Some decorations such as pictures on your wall and a green plant can be great for your kitchen too. This idea can be a perfect idea for minimalist house too. So, wanna try this idea? A fan of futuristic home design? Well, maybe you should try this idea. White kicthen cabinets with black countertops. You can combine the look with white walls and black floor tiles. A black refrigerator can be perfect for your kitchen too. Don’t forget to add some green plants in your kitchen to make your kitchen looks fresh. Planning in an unfurnished minimalist apartment? Well, you can try this modern kitchen cabinets idea. 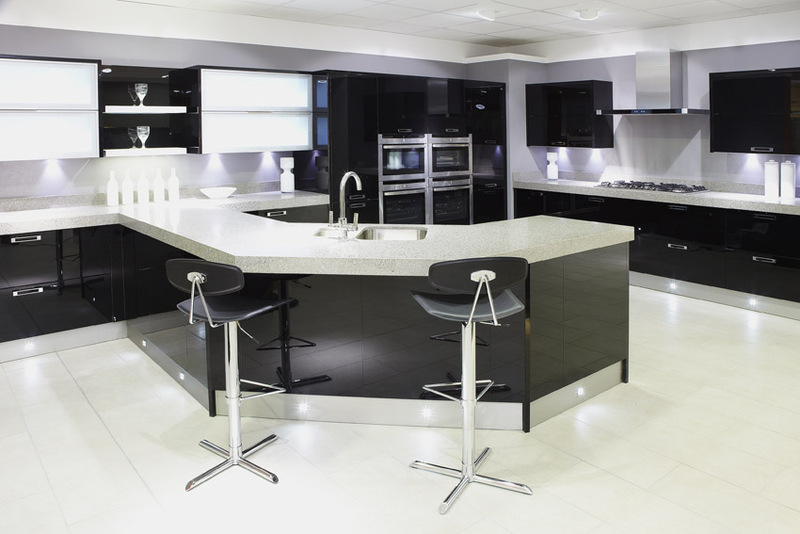 Black and white kitchen cabinets can be a perfect choice if you want to have a modern kitchen. Especially if your floor is made of black tiles and the wall is painted in gray color. This idea is perfect for people who want to spend much time in their kitchen. Designing your kitchen in gray kitchen design? 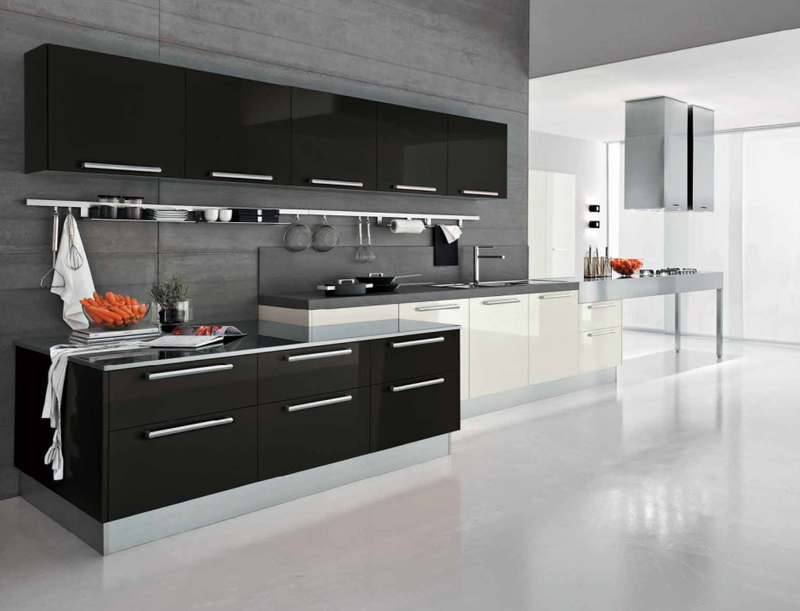 Well, there is no better cabinet choice than black and white kitchen cabinets. You can choose black kitchen cabinet with granite countertops and white kitchen cabinets with black countertops. A black wall storage can be a perfect addition too. Don’t forget to add a little green plant as decoration for your kitchen to give it the fresh look. So, gray design lovers, do you think you should try this idea? 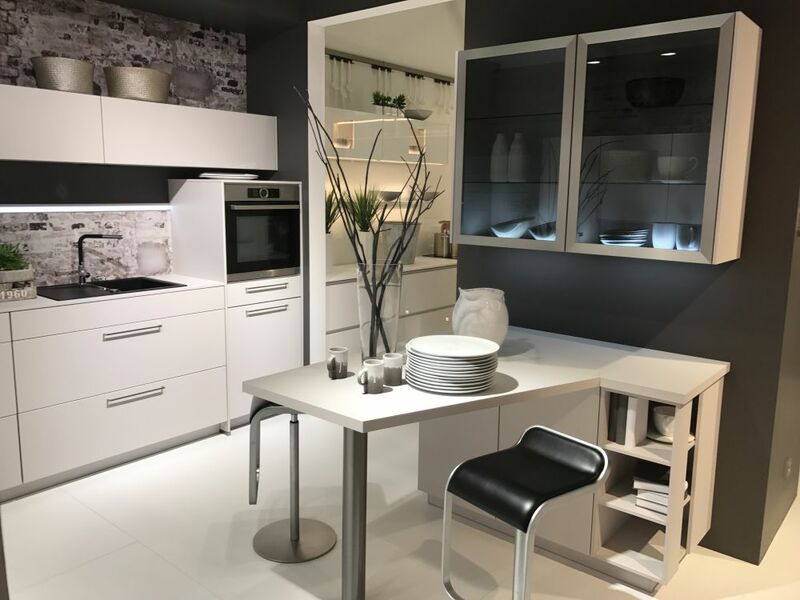 Here is another black and white kitchen cabinets idea for you. 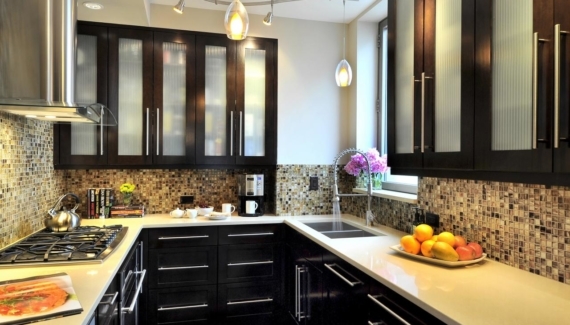 Choose white kitchen cabinets with black countertops. Don’t forget to install black wall storage on the wall. You can decorate the kitchen with decoration lamp and a silhouette picture on the wall. This idea is perfect for you if you are planning your kitchen and dining room in the same room. So, what do you think? Wanna try this idea? Shaker kitchen cabinets can be a perfect choice for your kitchen. It is one of the most popular style of cabinets door since it has several types that look great for many design. For example, these kitchen cabinets five-piece drawer fronts and cabinets with slab fronts that look great for people who seek for combination of modern and traditional style. Five-piece fronts without too many details can be a perfect idea for people who want to have a simple and comfortable kitchen. You can choose white shaker cabinets for your kitchen to enhance the beauty in your kitchen’s simplicity. These cabinets will look great with your wooden floor too and will give you a chance to put more decorations in your kitchen. What do you think? Wanna try this idea? If you do, white shaker cabinets with garnite countertops can be great too. 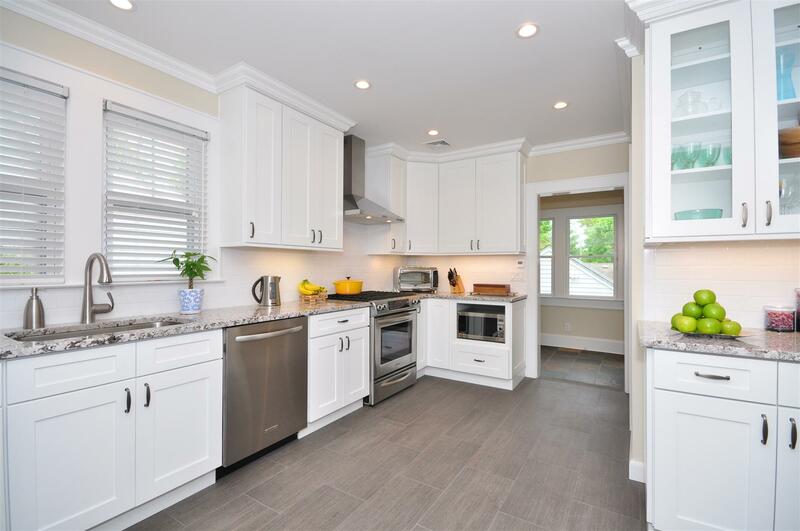 Choosing white shaker cabinets with gray appliances can be a perfect choice. Especially if you want to have a simple kitchen but want your kitchen to look elegant too. The cabinets will be a perfect combination for floor from reclaimed wood. Don’t forget to put a little decoration such as flowers or plant to make your kitchen looks more elegant. 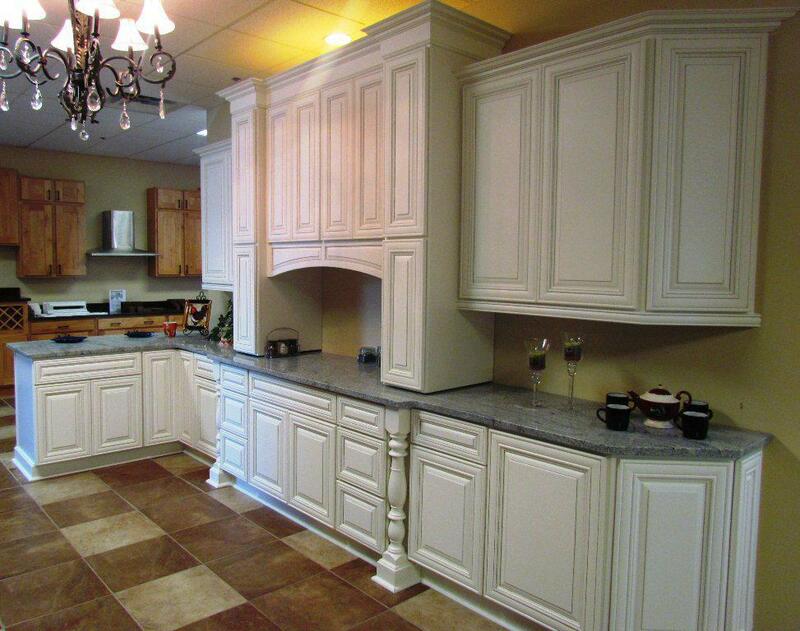 Cabinets with ornaments and white-bone color will be a perfect choice if you want to have an antique kitchen. You can enhance the antique look by installing antique ceramic tiles and antique chandelier. Don’t forget to choose appliances with neutral colors such as refrigerator and stove with gray color. White kitchen cabinets with black granite countertops can be a good choice if you want to bring a vintage look to your kitchen. Especially if you want to design your kitchen with rock brick wall and want to install wooden floor. 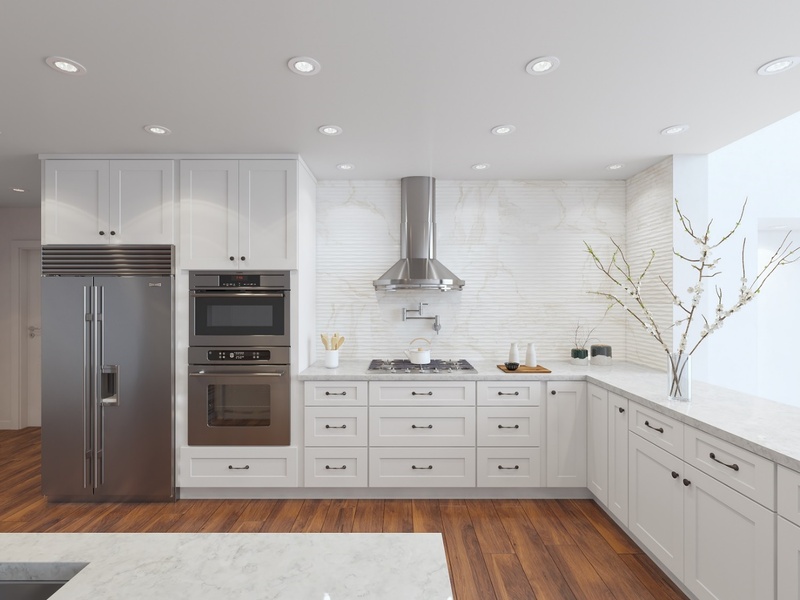 You can choose white shaker cabinets with five-piece fronts because five-piece front is the best front that will give a classic look to the cabinets. White is the best color choice for people who want to show luxury to their rooms. 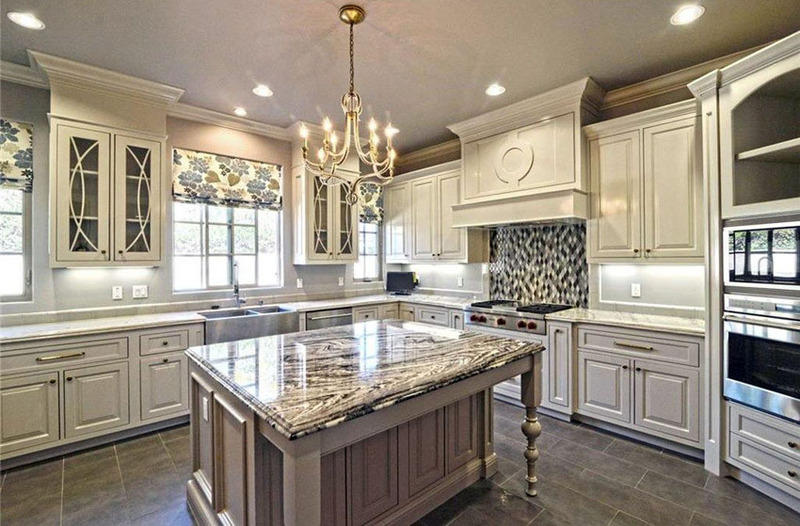 You can bring luxury into your kitchen by choosing white kitchen cabinets with five-piece shakers and granite countertops. 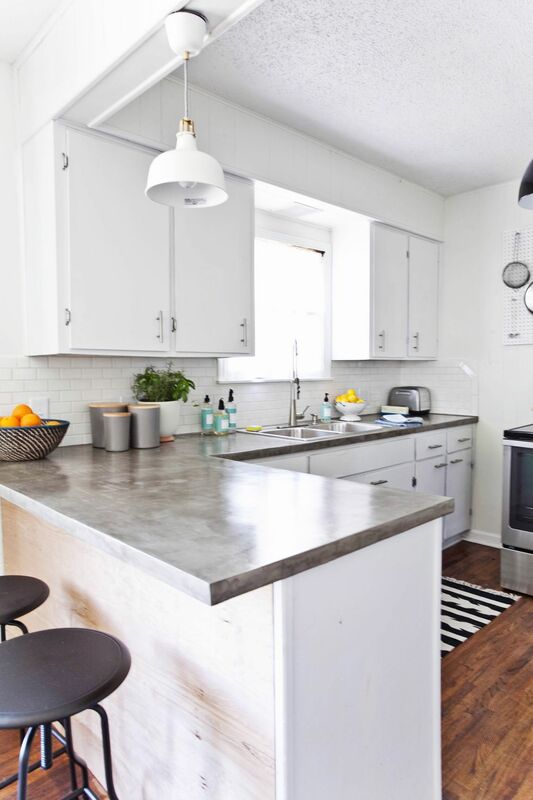 Instead of choosing dark granite countertops, you can choose a brighter color such as white-bone or gray to enhance the luxurious look of your kitchen. Do you like this idea? Tell us in the comment section if you want to try this idea. Only have a small space for your kitchen? 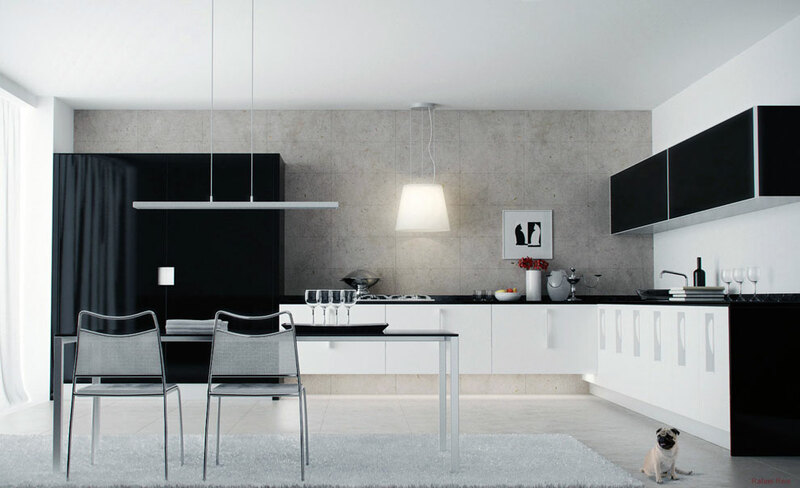 Well, designing your kitchen in minimalist modern style can be a perfect idea. 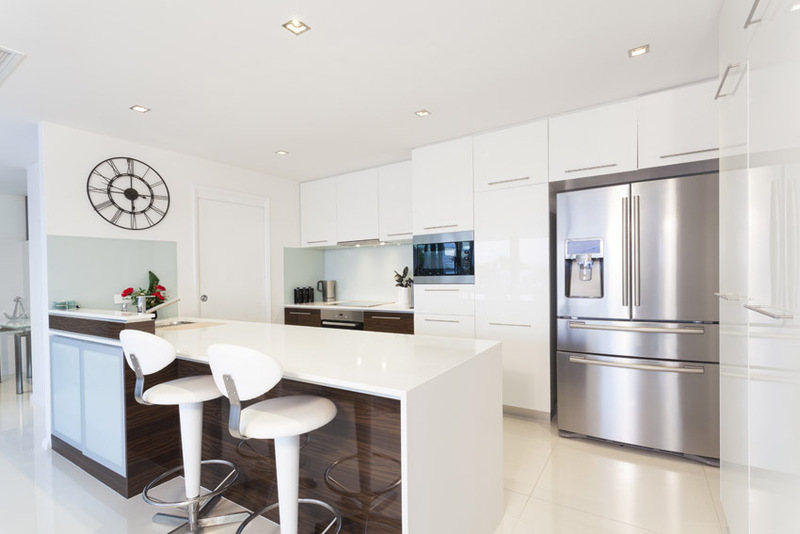 To get this modern look, you can choose white kitchen cabinets with slab fronts. 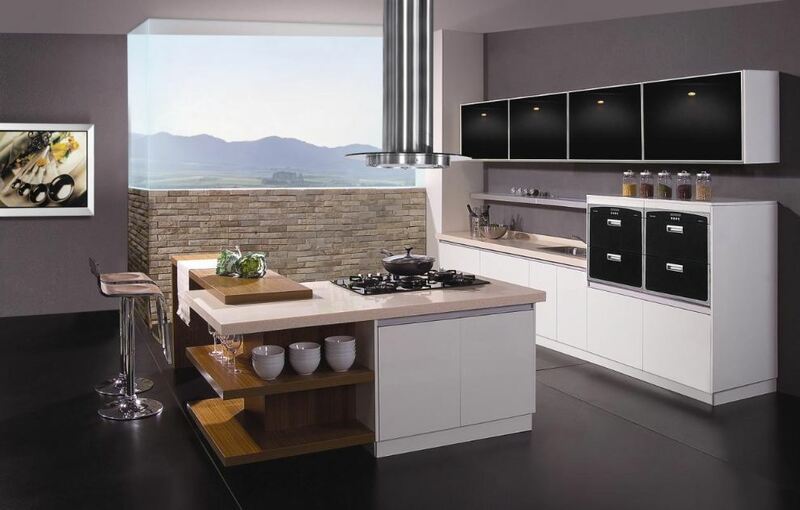 Slab door is the perfect choice if you want to bring a modern look to your kitchen. It is simple and will look perfect with additional decorations, such as plants and many other decoratin choice. So, what do you think? Wanna try this minimalist style? Don’t forget to choose white cabinets with slab fronts. Looking for perfect kitchen cabinets for your minimalist kitchen? Well, white kitchen cabinets can be a perfect choice. Since it is gonna be a minimalist kitchen, you better choose shaker cabinets with slab doors rather than five-piece front doors. 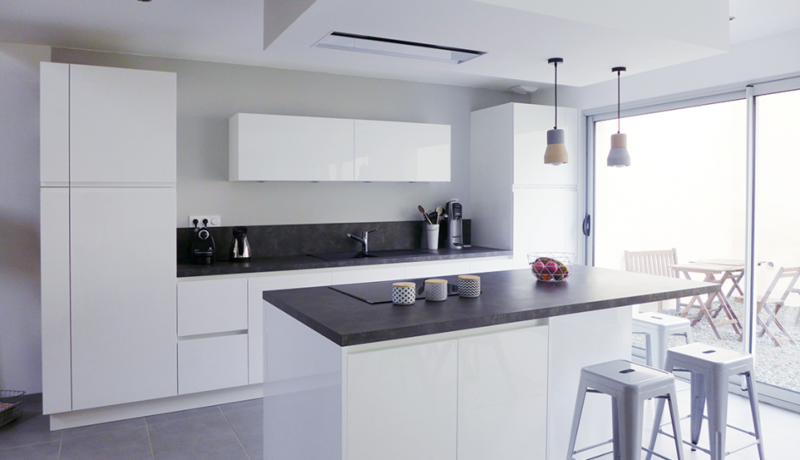 These cabinets will look perfect for your minimalist kitchen especially if you want to add some decorations to the kitchen’s wall, such as brick walls. Planning to live in studio apartment which is still unfurnished? Well, you need to find the perfect furniture for your apartment. Since studio apartment is not too big, you can choose bright furniture to make your apartment looks roomier, such as these kitchen cabinets. 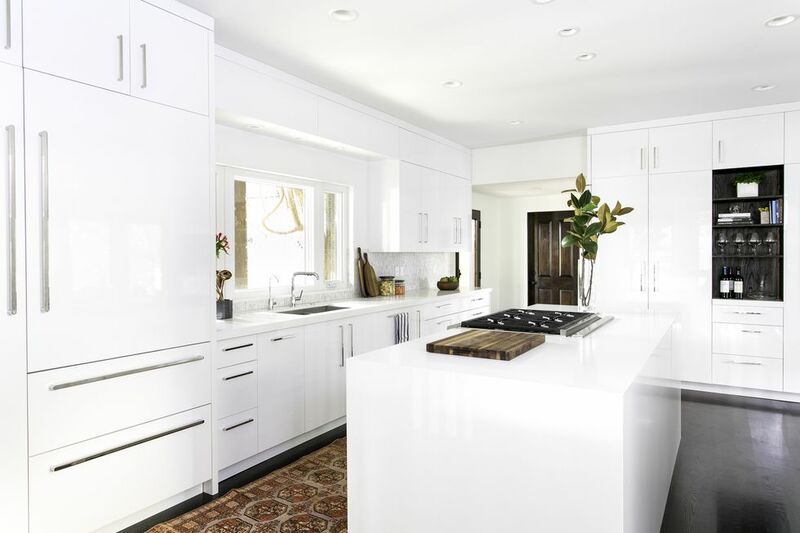 You can choose white kitchen cabinets with quartz countertops and slab fronts. White is never boring. It looks good when it is combined with other colors, and can make your room looks roomier. If you are a fan of white color, you probably should try this idea. 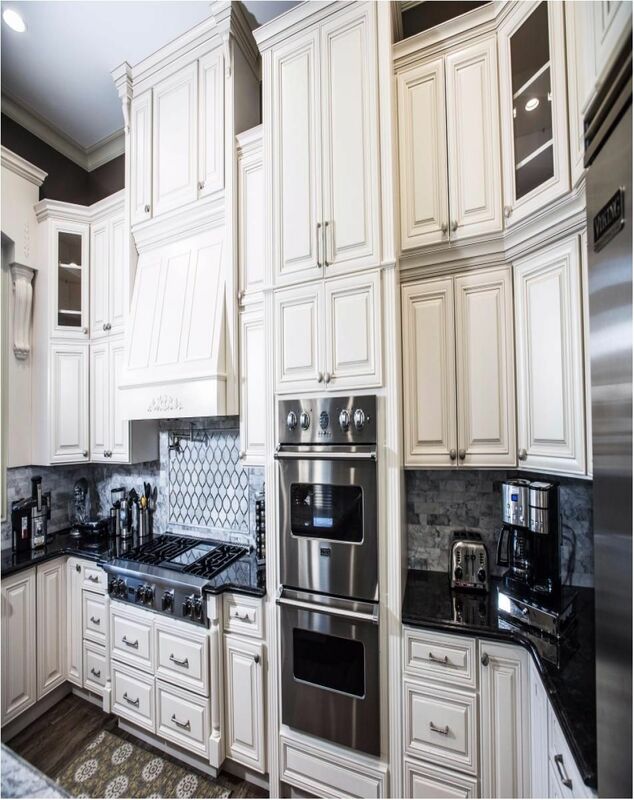 Pure white kitchen cabinets. It looks great if you are planning to have a modern gray kitchen. Since it is gonna be a modern kitchen, instead of choosing cabinets with five-piece fronts, you can choose cabinets with slab fronts. What do you think? Feeling like to try this pure white idea? 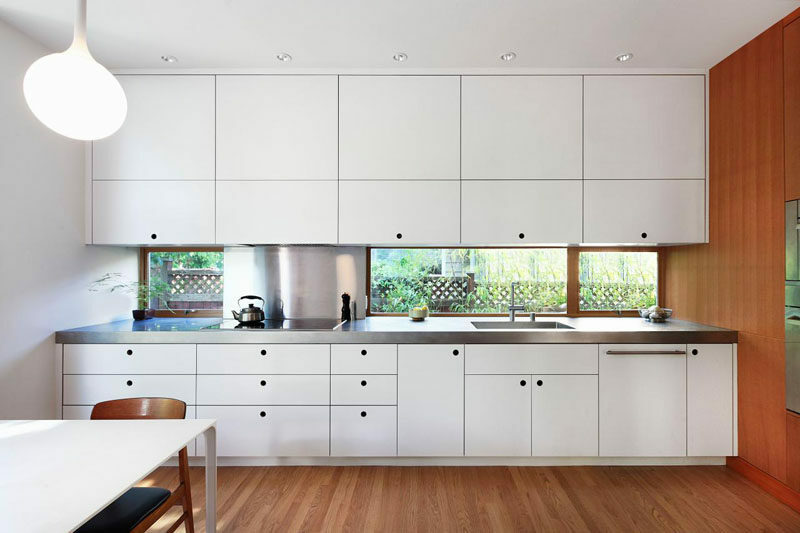 White kitchen design is the best design for people who like tidy looks. The key to a great white kitchen design is the perfect white cabinets. If you want to have a modern kitchen, you can choose shaker cabinets with slab fronts. The best thing about choosing white kitchen cabinets is the cabinets look great with other colors. If you want to change the wall paint in your kitchen, the cabinets still look great. 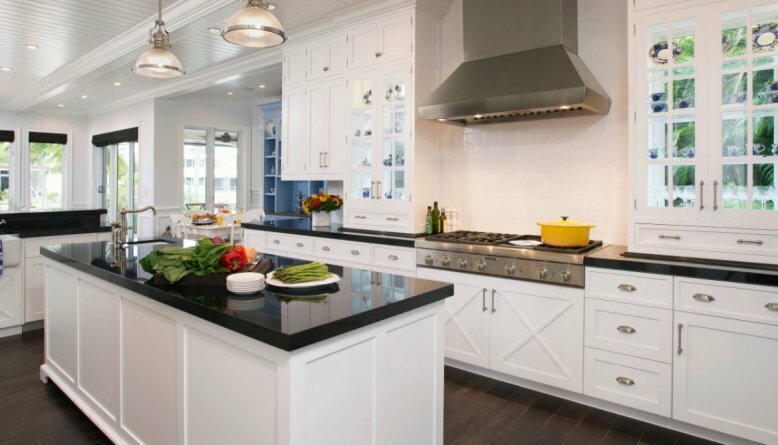 White does not have to be the dominant color if you want to have a black and white kitchen. 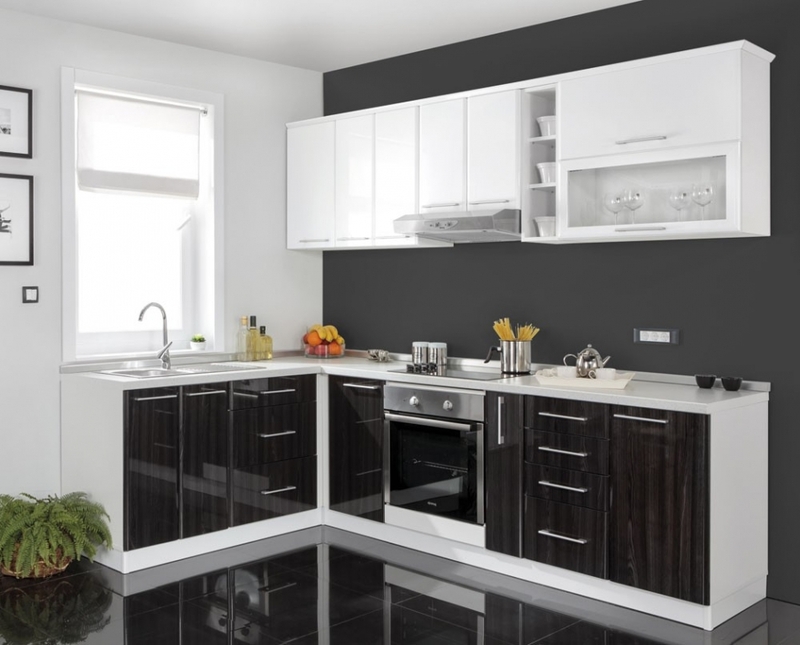 You can choose black kitchen cabinets with white countertops and install black and white wall storage in your kitchen. Since black has been the dominant color in your kitchen, you can choose white floor tiles and white ceiling for you kitchen. 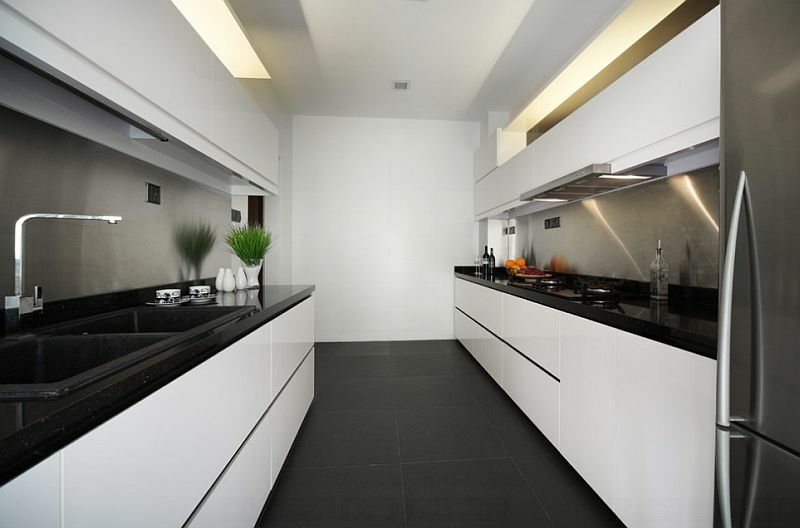 Designing modern black and white kitchen doesn’t mean you have to furnish your kitchen only with cabinets with slab doors. 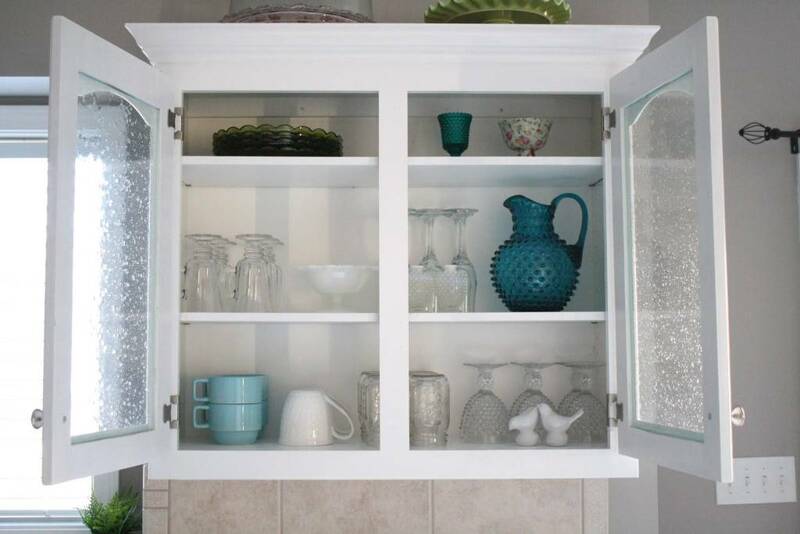 You can also install a wall cabinet with glass door in your kitchen. It is gonna be a perfect storage for your dining set. Since the doors are made from glass, it is gonna be a perfect display to show your dining set collection. 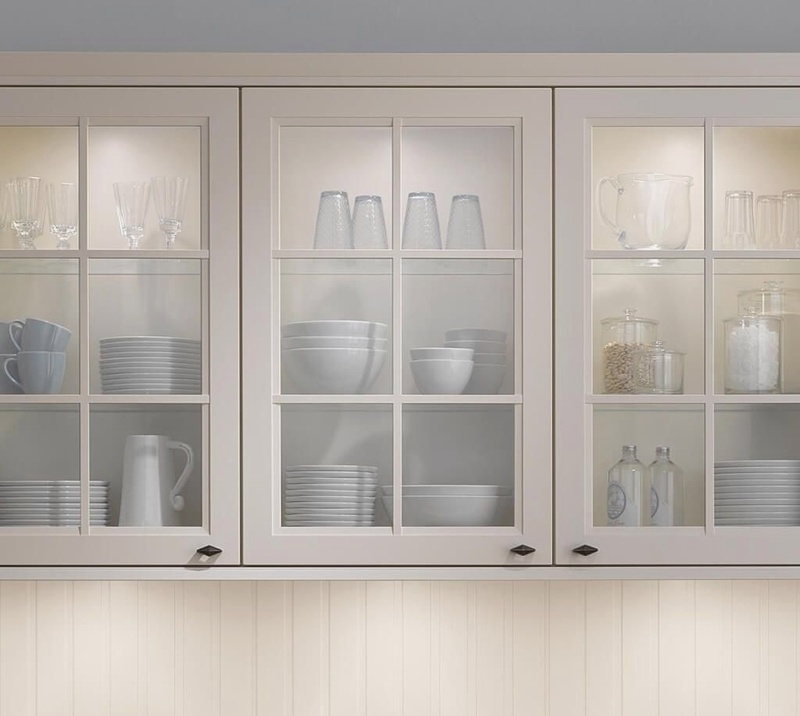 Here is another white kitchen cabinet with glass doors idea for you. Unlike the previous idea which is gonna be a perfect idea for modern kitchen, this white kitchen cabinet will be a perfect furniture for your vintage kitchen. It is gonna be a perfect display for your dining set. So, are you designing your kitchen in vintage style? Wanna try this idea? A simple kitchen cabinet with glass doors is gonna be perfect for your simple kitchen. Especially if you are designing the wall with vertical shiplap wall. 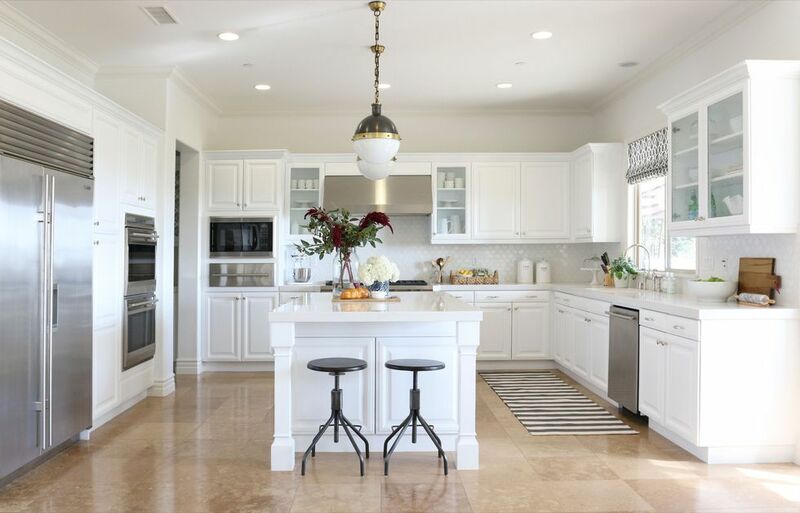 If you want a vintage look, you can choose white-bone color over a bright and shining white kitchen cabinet. Cabinet with glass door is gonna be a perfect display for your dining set. Here is another antique white kitchen idea for you. 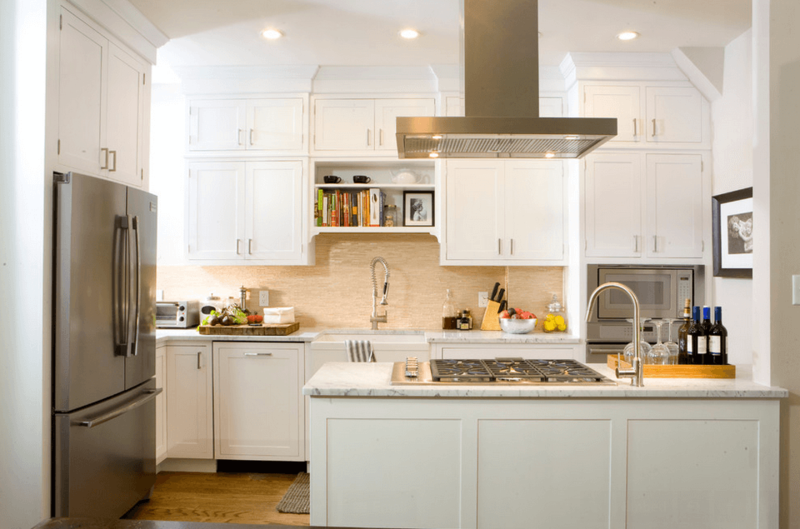 To get the perfect antique look, you have to choose the perfect antique kitchen cabinets, such as these white cabinets with five-piece fronts. 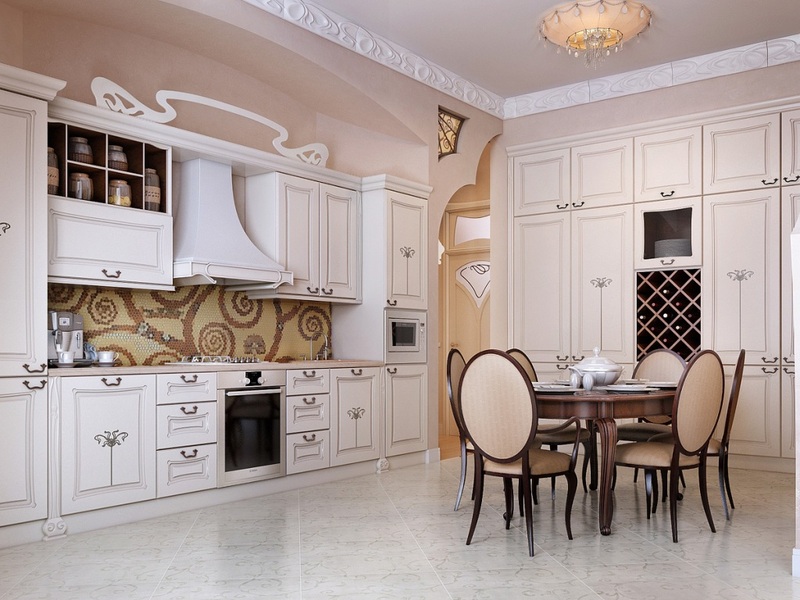 If you wish to decorate your kitchen with other ddecorations such as a luxurious chandelier, you can choose kitchen cabinets with simple five-piece fronts without too much ornaments on the fronts. 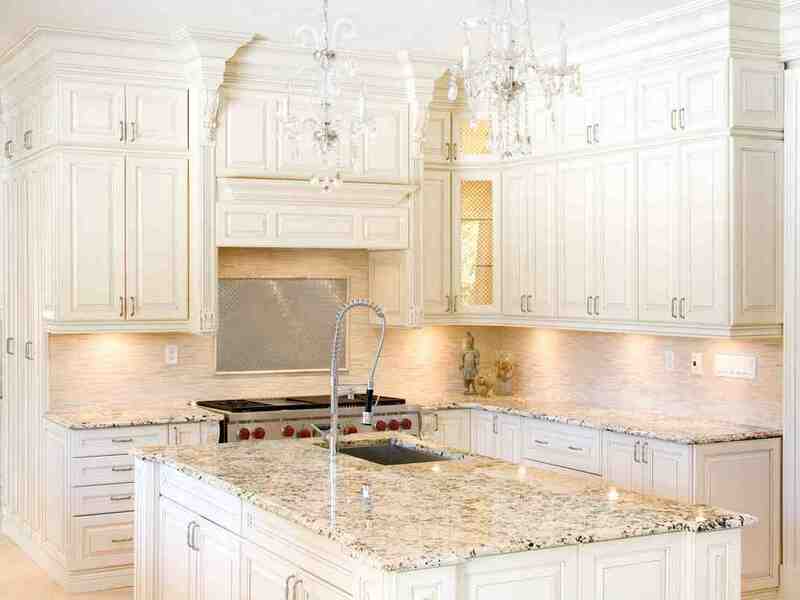 To give a luxurious look to your kitchen, you can also choose white kitchen cabinets with granite countertops. So, do you want to have an antique kitchen? Make sure you choose the kitchen cabinets perfectly. 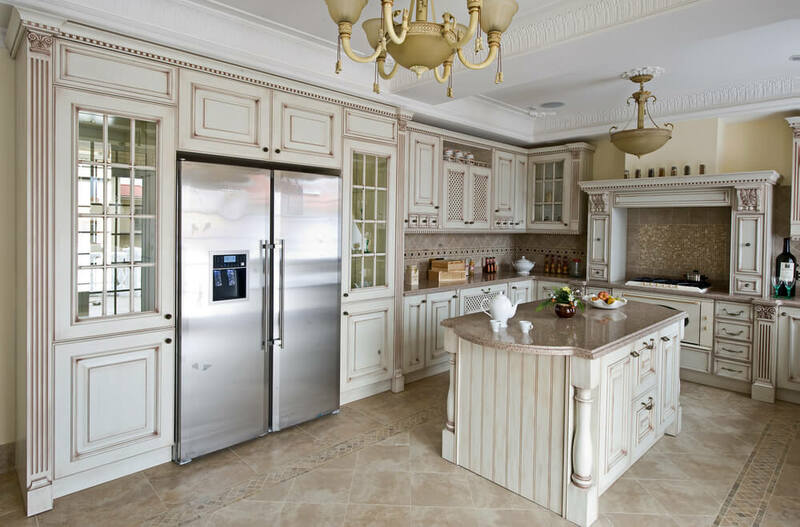 If you want to have a modern kitchen furnished with white kitchen cabinets, you can choose kitchen cabinets with slab doors over cabinets with five-piece front doors. These cabinets will look great if you want to paint your kitchen in white and would like to have black ceramic floor tiles. Don’t forget to add a little patterned carpet on the floor and decorate your kitchen with a green plant to add some colors to your kitchen. Wooden floor, white brick walls, and white ceiling? There is no better cabinet for your kitchen than white kitchen cabinet. 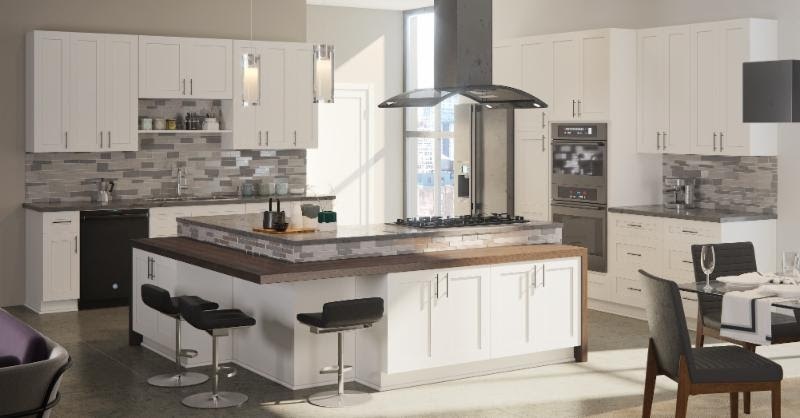 To add some colors into your kitchen, you can choose white cabinets with quartz or granite countertops and furnish your kitchen with silver appliances. You can also decorate the ceiling with a pair of white and black lamps. What do you think? Isn’t it a good idea? What is the best color that looks great with white color? It’s black. Or maybe gray. Black and white is too boring for you? Well, you can try white and gray combination. You can furnish your kitchen with gray cabinets with granite countertops and white wall cabinets. This idea is gonna be a perfect idea for your kitchen especially if you want to decorate the wall with gray bricks. Silver appliances will be a perfect combination for your kitchen too. 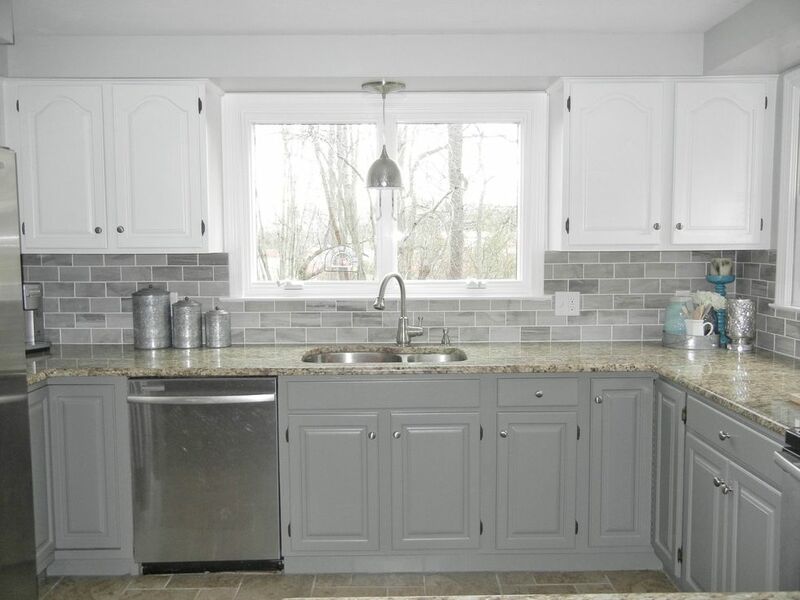 Do you like this gray and white kitchen cabinets idea? Who says five-piece fronts only looks great for traditional kitchen? It is gonna be a good idea for contemporary kitchen too. 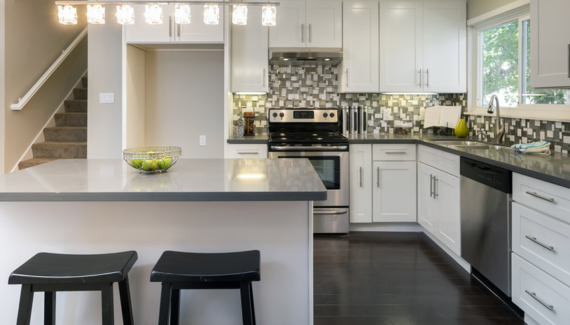 Combine the traditional look by choosing kitchen cabinets with five-piece fronts and the modern look by choosing the perfect appliances for your kitchen. Shining silver built-in refrigerator and other silver appliances can be a good choice too. Looks great, like? What do you think about this idea? Wanna try this idea soon? That was the list of 30 white kitchen cabinets idea you can try. Which white kitchen cabinets idea do you like the most? Is it the cabinets with five-piece fronts for vintage kitchen? Or the cabinets with slab fronts for modern kitchen? Do share your answer with us in the comment section.